OK, so let me tell you all the things I don't like about Chestnut Run first. I'm not a huge fan of their label. Mostly because it's hard to tell apart one wine from another without carefully reading. And I am a big, fat, lazy guy, who doesn't want to work that hard. So apparently, it's just me. Now, let me tell you everything I like about this place. Number one, it's owned by a family that' been working the same land for a while. Bob Clark and his family are hard working farmers, which makes me like them instantly. They began farming in 1984, bought the farm in 1986, and permanently preserved the farm in 2001. During most of that time, they operated as growers/packers of fancy specialty fruit and vegetables including such items as Asian pears, gourmet apple varieties, yellow tomatoes, gourmet bell and hot peppers, baby round eggplant, baby round zucchini, ornamental Indian corn, giant pumpkins, peaches, and chestnuts. By 2006 all their fruit was being processed into wine. All this instantly makes me think I need to invite myself for dinner one night. The next thing is that they make wine from apples and pears, which should in this day and age be an easier sell. I mean ciders and perrys are off the charts, right? But you say apple wine or pear wine, and people wrinkle their nose. Let me tell you right here and now, one taste, and you will not be wrinkling your nose. Let me tell you a story. So I was at the Fall New Jersey wine festival, and I came upon the Chestnut Run tent. I had heard about their wines before and even tasted one. I remembered it being good, so I said to myself, let me stop in. I got to talking to Bob Clark, and of course now I'm knee deep into a fruit wine tasting. As a wine writer in the north east this is sometimes sketchy territory, but has been markedly improving over the last half-dozen years. So the Semi-Sweet Pear wine comes first. It's lovely! It's produced from a blend of their Asian pear varieties. It's an off-dry wine. Not too sweet, nicely balanced fruit wine with a smooth, easy finish. Bob said I should think of it as an alternative to Riesling and he was absolutely right! They use only their own Fuji apples to make this varietal wine that displays their own terroir. Chestnut Run Farm Fuji Apple wine is a semi-sweet wine with a nice, zesty finish that shows great balance. A very distinctive apple comes through beautifully. 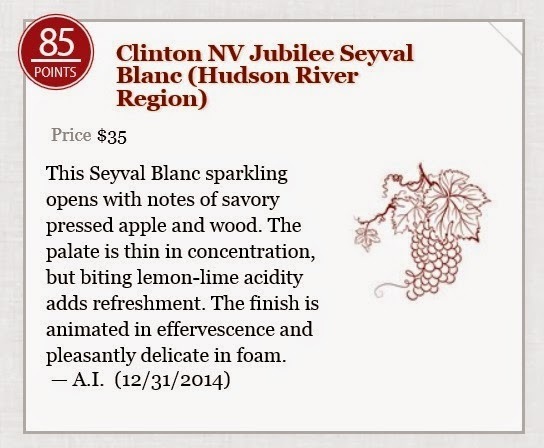 This wine would instantly go great with turkey, salmon or pork dishes, or with sharp cheddar cheese. A fantastic wine! Must be absolutely honest here. When Bob first suggested this next wine, I shook my head. Not a spiced wine kind of guy. I have my limits. But he insisted I would be surprised. And I was! This ginger-spiced Asian pear wine is among their most popular, and now I see why! This is made from a blend of different varieties of their own Asian pears. They add ginger root to the wine. See, now that's usually where I nod off. But I have to tell you, it's spectacular If you like for example Nine Pin Ginger or some of the other ciders with ginger, you will absolutely love this!!! Semi-sweet and gingery, but well balanced, this wine is a perfect match for spicy Asian and Indian meals such as sushi, Thai, Mandarin, Szechuan or Vietnamese. I was instantly in LOVE!!! Great apple wines can taste like very god Rieslings. 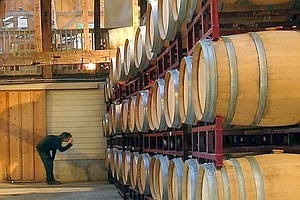 If you ever do a barrel tasting at Farnum Hill you'd know what I meant. Or if you like Aaron Burr ciders and perries, then you know what I mean. Chestnut Run's wines are very reminiscent of very good Rieslings. If you like Rieslings, and light styled wines, run to Chestnut Run. 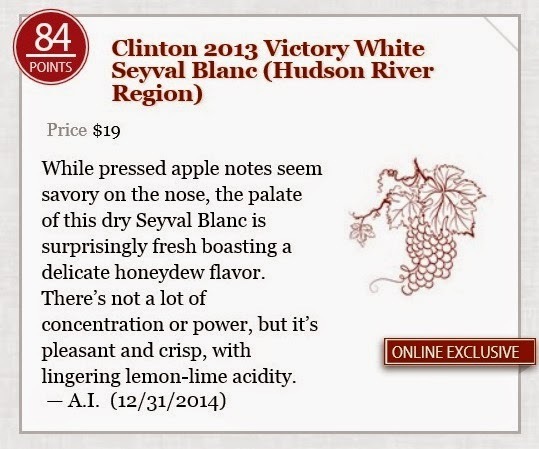 These are great apple and pair wines for those who like good wine. I promise you!!! OK, so I went down to the Shawangunk wine trail and I found a brand new producer you really need to check out....Brunel & Rafael. This is a small production boutique winery. It's located not too far from Benmarl, Stoutridge, and other centrally located wineries in Marlboro. The winery's name is a combination of the grandfather Brunel and the grandson, Rafael. Kristop Brown is the winemaker/consultant. It's set up in a house in a fairly residential area. But the inside is completely lovely! Beautiful antiques and butter yellow walls. Extremely handsome. The first wines I tried was the Merlot Rose 2012. This is New York fruit and had a nose of strawberry and baguette. Lovely on the palate with light cherry and lime coming through. A fresh, zesty finish. 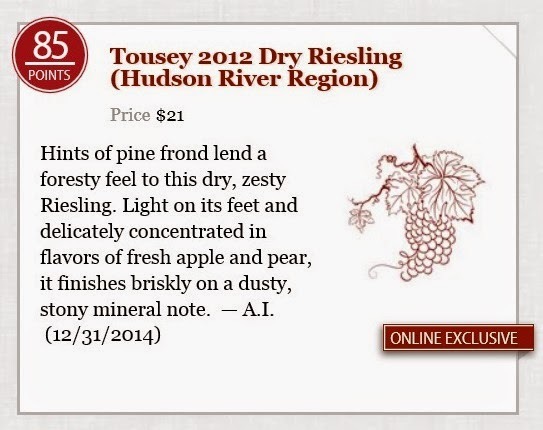 The Chardonnay 2012 is Hudson Rer Region fruit, which I was very excited to see. 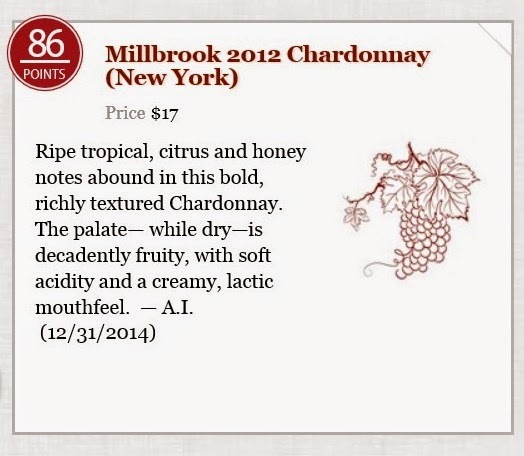 A lovely, elegant chardonnay. Bright crisp apple, hints of pear and melon with a lovely finish. Barrel fermented but not overly heavy, like you might expect. Nice nose. Pretty mouthfeel, but still fairly lean. Really lovely! 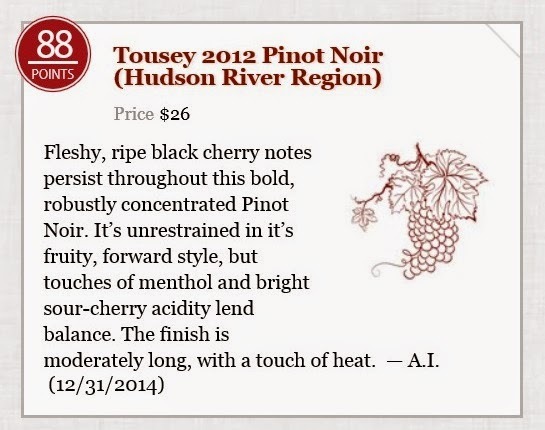 This Hudson Rver Region Pinot Noir 2012 instantly became one of my favorites! Beautiful bright and ripe cherries explode out of the glass and across the palate. 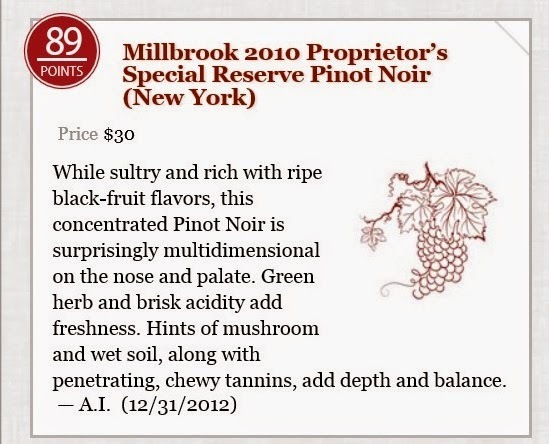 This is a brilliant Pinot noir. Absolutely fabulous! 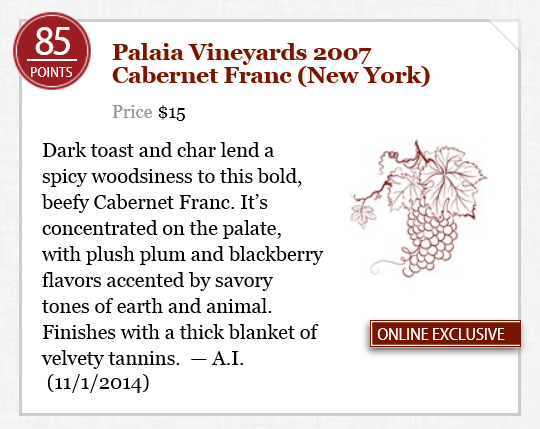 This single wine is why you must come to taste this vineyard. Stellar! A classic, lovely Cabernet Franc with dark cherries and No. 2 pencils. Good fruit gives was to a solid middle an a nice dry finish Complex. Balanced. Very nice. For my money, the Chardonnay 2012 an the Pinot Noir 2012 were instantly join the ranks of some of the better wines in the Hudson Valley. This was amazing wine. Also, tasted but not pictured was their Gewurztraminer 2012. Hugely floral, like a bouquet of tropical fruit and flowers! Absolutely stunning. Another great reason to come down! A lovely, classic Merlot. Lots of dark cherry, dark raspberry and vanilla. Very nice. Very respectable. A good, solid medium-bodied dry red table wine. By the numbers. Well done. On the whole, the tasting was a great success. Great early stuff from a new, quality focused producer. Very exciting. Get on down there! Everyone else's wine racks will be stocked with California cabernet sauvignon and French champagne this holiday season. Why not serve something different – and closer to home?. Connecticut is home to more than 30 wineries, which produce unique wines that reflect the growing regions and specific terroirs around the state. Wines made from grapes that thrive in cooler temperatures are common, and varietals from coastal-area wineries often reflect the ocean's impact on the climate. Some Nutmeg State wineries skip grapes altogether, producing farm wines made entirely from apples, pears, berries and other fruits. Whether you're hosting a cocktail party with fancy hors d'oeuvres or a Christmas roast with all the trimmings, there's a Connecticut-made wine for every occasion. "As the holidays come, it is nice to celebrate more traditionally using local ingredients and local wines," said Michelle Niedermeyer of Lost Acres Vineyard. A top seller at the North Granby winery is its Old Orchard Apple, a slightly dry wine made from apples grown at neighboring Lost Acres Orchard. "Think Granny Smith, not Red Delicious," Niedermeyer said, adding that the apple flavor goes well with all components of a turkey dinner with stuffing, mashed potatoes and vegetables. Apple with pork "is also a no-brainer," she said. More apple wines are available at Bishop's Orchards in Guilford, where wines are made from home-grown orchard fruit. Winemaker Keith Bishop says the apple-cranberry blend Amazing Grace ($14.99) is a natural pairing, a strong seller for holiday meals. "It's semi-sweet but has a bite of tanginess from the cranberry," he said, suggesting it for poultry-based dishes. Similar to Amazing Grace is the winery's Apple Raspberry Blush (also $14.99) described as "delicately pink," with 2 percent residual sugar. Bishop's "Celebration" wine ($14.99) with a blend of sweet and tart apples, is also semi-sweet and pairs well with pork, poultry and fish, Bishop said. Another apple wine, the Stone House White, is comparable to a dry chardonnay, he said, pairing well with white meat dishes. If it's bubbly you're after, Bishop's also has a sparkling wine made with fresh raspberries. The Rubus Nightfall ($24.99) earned a gold medal at Vineyard & Winery Management's annual Grand Harvest Awards in 2013. "I'd use it as a celebratory wine, at the beginning or end of the meal," Bishop said. Another sparkler comes courtesy of Hopkins Vineyard in New Preston, where its mèthode champenoise Gold Label wine, ($34) made from estate-grown chardonnay and pinot noir, is produced in the style of French champagne. This process, by which bubbles are created by secondary fermentation in the bottle, takes three to four years, said winery president Hilary Hopkins Criollo. "We decided to do it as an experiment to see if we could. It's a labor of love," Criollo said. Described as having "creamy richness with a hint of baked apples," the Gold Label is designed to be enjoyed with dishes like tuna tartare, oysters, smoked salmon blinis with crème fraiche and caviar and even French fries, according to the winery's website. Seafood-focused meals, like a Christmas Eve Feast of the Seven Fishes, call for light white wines. 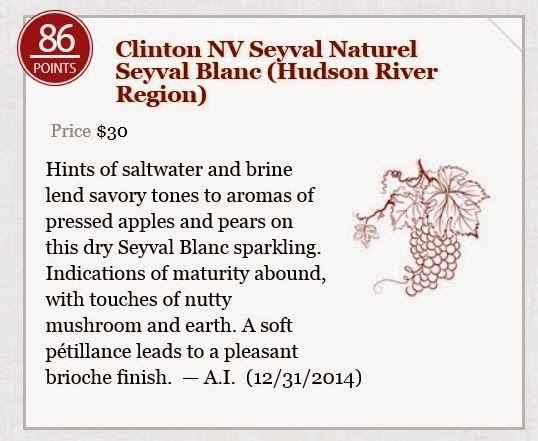 Niedermeyer recommends Lost Acres' Clemons Springs ($15.99,) a slightly oaked blend of dry estate grapes. Jones' estate-grown Pinot Gris ($19.95) is recommended with steamed mussels and grilled swordfish. 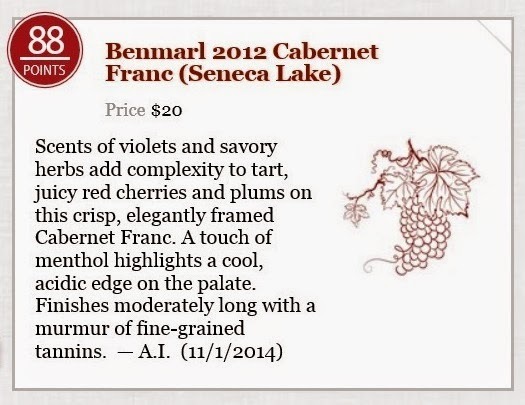 Cabernet Franc, which fares well in cooler climates, is a popular varietal among Connecticut winemakers and pairs well with hearty meat dishes. 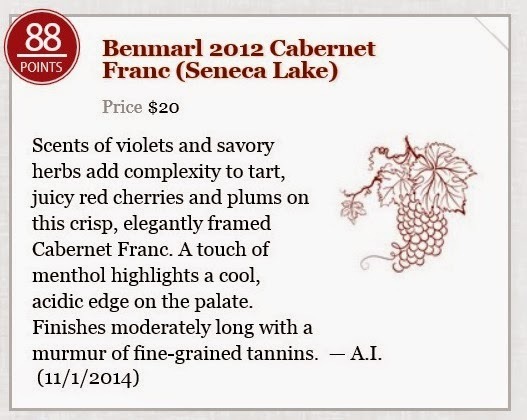 "It's got a little more of an earthy flavor," said Jamie Jones of Jones Winery in Shelton, which makes a Cabernet Franc Vintner Select ($24.99.) "It's more of a red meat [type of wine]…lamb, venison." 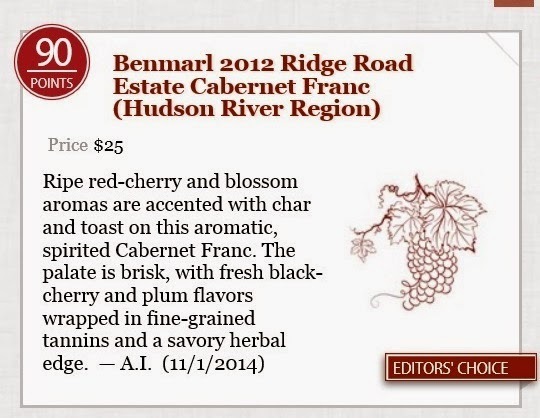 And at Preston Ridge Vineyard in Preston, the estate Cabernet Franc ($37) has a "nice peppery finish," said owner Cara Sawyer, going well with lamb, ham or "any kind of chocolatey desserts." Connecticut wineries make plenty of dessert-ready wines, and Linda Auger of Taylor Brooke Winery in Woodstock says hosts should consider going all out with sweets. "There's no other time of the year when you want to rev up your dessert table and really celebrate. The holidays are it," she said. "They're just nice to be sipping as you're sitting around, chatting with friends and family," Auger said. "They're heavier; a port kind of warms you up." Each pair well with chocolate desserts or cheesecake, or can be served poured over ice cream with fresh fruit. At DiGrazia Vineyards in Brookfield, Dr. Paul DiGrazia says the port-styled Wild Blue wine with blueberries and brandy ($25.99) is popular around the holidays as well. Calling it a "perfect party wine," DiGrazia suggests pairing it with cheesecake, ice cream and blueberry pie – as well as blueberry muffins, waffles and pancakes, in case you're hosting a brunch. Spice factors into a few Connecticut offerings, like DiGrazia's Autumn Spice and Harvest Spice bottlings ($16.99.) 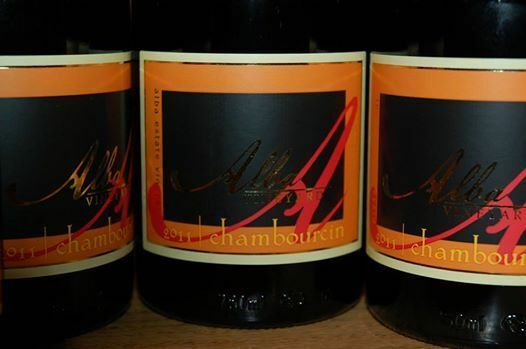 Each of these wines are blended with sugar pumpkin, honey, ginger, cinnamon, nutmeg and cloves. 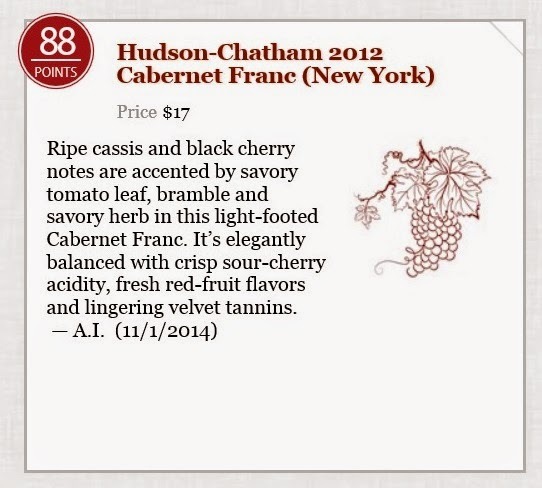 Cassidy Hill Vineyard's Coventry Spice ($17.95) is a blend of red grapes, infused with spices and fruit flavors. "The spices give it a more 'holiday' flavor and aroma," said winery owner Bob Chipkin. Lost Acres' Enders Reserve, ($21.99 for a 375ml bottle) a late harvest Vidal wine with apricot and honey flavors, is "just a nice way to finish up a big rich holiday meal," Niedermeyer said. And Hopkins' estate-bottled ice wine ($41) is another distinctive offering, made from grapes that have frozen on the vine at a specific temperature. "The sugar content gets really high in the grapes…it's a very naturally sweet and rich after-dinner wine," Criollo said. Suggested dessert pairings for the ice wine include Stilton cheese and fresh figs, apple cake, berry brioche bread pudding and coconut layer cake. Beyond meal-friendly pairings, local wines also make fine presents for hosts, Auger said, and the introduction of a locally made bottle to a holiday table is great word of mouth for the wineries. "When people come in and say they're buying a case to give as gifts, you couldn't make me a happier person," she said. Contact Connecticut wineries for shipping options and retail locations. A selection of local wines is available at Stew Leonard's wine stores in Danbury, Newington and Norwalk (www.stewswines.com). Bishop's Orchards in Guilford also carries several Connecticut wines in its market (www.bishopsorchards.com). “There will never be another tasting like this,” Al Spoler said by way of introduction. “This cannot be repeated.” That’s because many of the wines on the table before us were the last of their kind. Spoler, host of Cellar Notes on Baltimore radio station WYPR, convened the invitation-only tasting last month at the Center for Maryland Agriculture in Cockeysville, north of Baltimore. About a dozen of the Free State’s winemakers assembled to taste their history: Maryland red wines of vintages ranging from 1981 to 2006. The idea was to see how Maryland wines hold up over time, and to reminisce about an era when Maryland first showed promise for making world-class wine. Dave McIntyre is the wine columnist for The Washington Post. He also blogs at dmwineline.com. Bert Basignani brought several vintages of his Basignani cabernets, and Rob Deford offered older Boordy wines. Mike Fiore of Fiore Winery regaled anyone within earshot about the virtues of chambourcin. Chris Kent of Woodhall Wine Cellars shared his single-vineyard cabernet sauvignons and Bordeaux blends from vineyards no longer producing grapes. There were cabernets and a pinot noir from Elk Run Vineyards in the 1990s, courtesy of Neill Bassford. Bob Lyon brought some wines he’d made at Catoctin Vineyards in the 1980s. Joe Fiola, the University of Maryland’s viticulturist, poured wines from his cellar, along with insight on the state’s best vineyard sites, then and now. The treasures were cabernets from Montbray Wine Cellars and Byrd Vineyards, their labels pockmarked with mold and decay from having been forgotten in someone’s cellar for three decades. Those two wineries once symbolized Maryland’s potential for producing world-class wines; now they are long gone. Byrd’s vineyard near Mount Airy, once a promising site for cabernet sauvignon, became a housing development. Their wines were fascinating. The 1982 Montbray Cabernet Sauvignon was brick red in color yet still bright and alive on the nose and palate, with spice-box aromas of clove, pepper and fenugreek. Then, about an hour later, it fell apart. 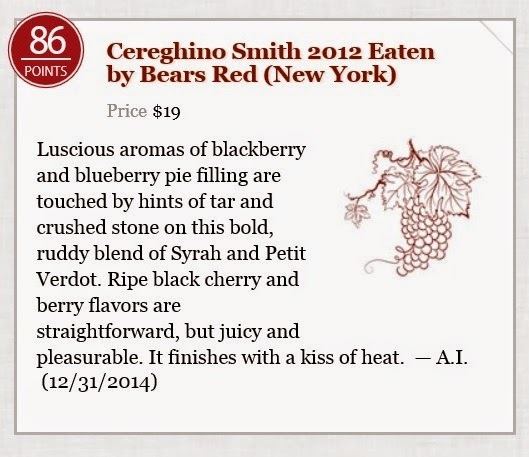 The Byrd wines, especially a 1983 cabernet, were equally spicy, if less elegant. Not all the wines withstood the test of time. “There’s good fruit here, but I’m reminded that we keep these wines too long,” said Boordy’s Deford. The winemakers spoke with optimism about the wines they are making today, using new techniques and knowledge they didn’t have a decade or two ago. The 2006 vintage cutoff for this tasting was imposed to ensure that the wines had some age, but also to separate the old from the new period of Maryland wine. The middle of the past decade saw the advent of wineries such as Black Ankle and Sugarloaf Mountain, as well as Boordy’s ambitious effort to replant its estate vineyards according to modern winemaking standards. “Today we say wine is made in the vineyard. But back then, we tried to get the most out of the wine by emphasizing the tannin” during production, said Bob Lyon, who made wine for Byrd as well as at his own Catoctin Vineyards. “In the old days, we’d harvest before the birds or the hurricanes,” Deford quipped. Everyone left that day with a greater appreciation of Maryland’s viticultural history, as well as anticipation for a future retrospective tasting, when wines being made today will tell the next chapter of the story. In 2012 I had the immense pleasure of publishing Richard Leahy's Beyond Jefferson's Vines. It was a work that garnered a large number of reviews and tremendous praise. It was a seminal work on Virginia wine. And in it's newest form, it remains so. The new book is 25% bigger and has up-to-date tasting notes. 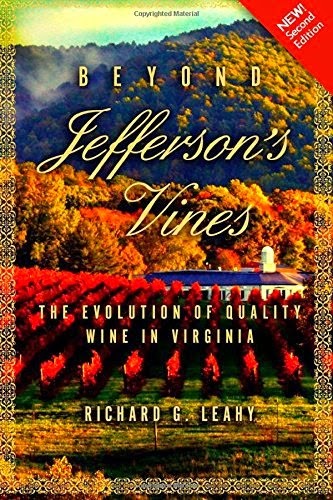 Beyond Jefferson's Vines is the complete story of wine in Virginia, from the Jamestown Settlement, to Thomas Jefferson and his vineyard at Monticello, to the thriving world-class wine industry of today. It focuses on the last decade and explains how vintners today have achieved the success Jefferson only dreamed of. Richard Leahy's complete, indispensable book is a new, expanded second edition, and blends history with travelogue and basic viticulture, along with personal interviews with key industry members, to help you gain a full understanding of the subject. You'll have a new appreciation for the quality Virginia wine has achieved today, and the risk these dedicated people take in their dogged pursuit to realize Jefferson's dream of a fine wine industry in Virginia. It's a thorough and comprehensive update, with a full 300 pages, expanded resources incl. vintage chart and grape glossary, adding lots of new wineries in No.VA and Central VA, tasting notes on current wines, a new chapter on "the expansion of craft beverages in VA" and more. Leahy’s complete, indispensable book is a new, expanded second edition, and blends history with travelogue and basic viticulture, along with personal interviews with key industry members, to help you gain a full understanding of the subject. The second edition has expanded by more than 60 pages or an extra 25%, explains Leahy. “There are many new wineries included in this edition, especially in Northern Virginia and Central Virginia, as well as current tasting notes including samples of the new 2014 vintage,” says Leahy. Now in paperback format, Beyond Jefferson’s Vines has both expanded in size and dropped in price by $5.00 (full retail $14.99). 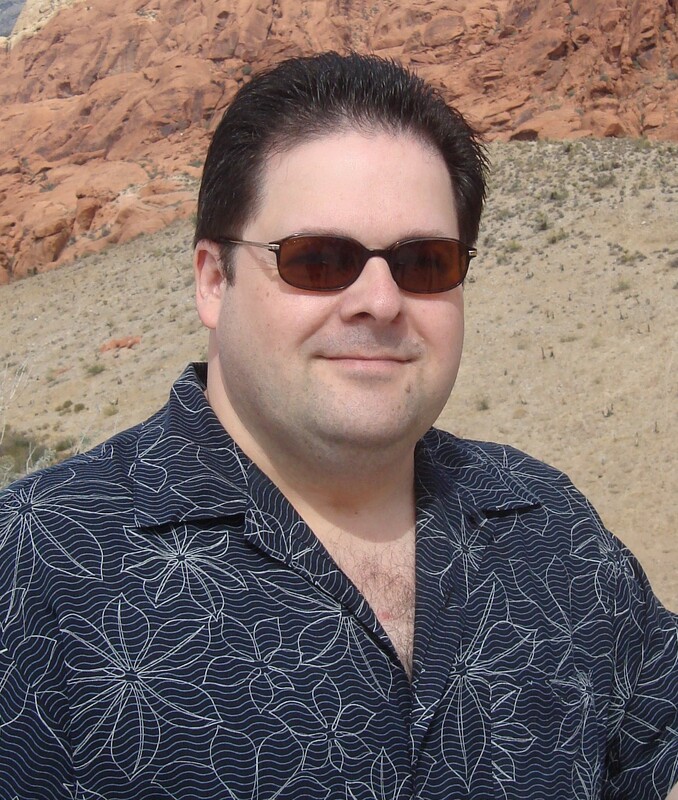 Richard Leahy is a wine professional based in Charlottesville, VA and coordinates the conference program for the Eastern Winery Exposition, a leading wine industry trade show. He has been writing about wines of Virginia and the East since 1986, and in May 2012 his book Beyond Jefferson’s Vines was published to high praise from reviewers. Due to the many changes on the Virginia wine scene, he wrote a second, expanded edition in 2014. In 2007 he organized the Virginia Wine Experience in London which brought the top 64 Virginia wines there for leading British wine media and trade to taste. He was a regional editor for Kevin Zraly’s American Wine Guide, and was Mid-Atlantic and Southern Editor for the Oxford Companion to the Wines of North America. 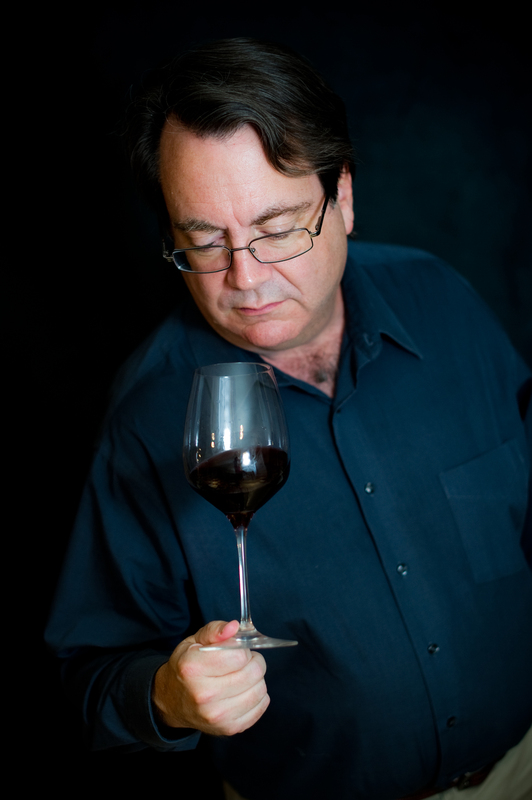 He is a member of the American Wine Society and the Circle of Wine Writers, and a Board member of Drink Local Wine, and also has a website and blog focused on wines of the East at www.richardleahy.com. 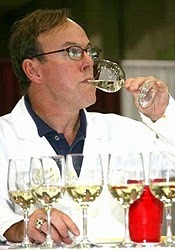 Richard consults in several wine-related areas and can be reached at www.richardleahy.com. Go out and buy it now! Let's get the this straight first. Robert Mondavi did not make the best wine in Napa. He did not participate in the Judgment of Paris. His wines were not the darlings of the critics. Per se, he wasn't really a winemaker. "Rivals occasionally resented his innate gift for public relations. Some complained that he took too much credit for shaping the industry and Napa Valley," wrote Shawn Hubler, in the Los Angeles Times. 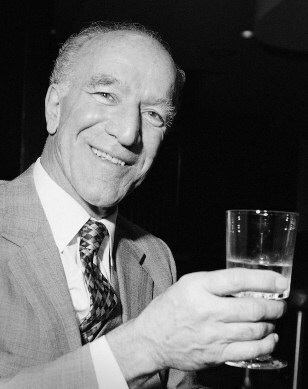 "Mondavi was viewed as a powerful ambassador for wine and California, and he was recognized worldwide...."
"Robert Mondavi had a vision for California, where it needed to go and what it would take to get there," James Laube, a senior editor with Wine Spectator magazine, said Friday. "It wasn't enough for Mondavi to succeed as a winemaker. Napa and California had to succeed as well." Like Peter the Great, who revolutionized Russia almost against it's own will, Robert Mondavi gave a name, a face, a story to California wine. And it worked. Some of the other wineries were making great wines in the region, but they didn't have his salesmanship, his ability to publicize and promote. Recently, Keith Wallace mentioned to Mid-Atlantic wine writer Mike Madio that Pennsylvania was lacking a leader on the wine scene. With the withdrawal of Eric and Lee Miller, a vacuum had formed. And he was absolutely right. It is leaderless. Now, let's get this straight. They are making better wine in Pennsylvania than ever before. VaLa Vineyards, Penns Woods Winery, Parydocx, Karamoor Estate, J. Maki, Black Walnut, Buckingham Valley, The Crossings, Vynecrest, Hauser Estate, Seven Mountains, Shade Mountain, and others are all making wonderful wines. Many of them have equaled or even begun to eclipse what Eric achieved at Chaddsford. But that is not what matters for the purposes of this conversation. And Prof. Mark Chien is gone as well, but replaced on the landscape by Denise Gardner, who some might argue is the best thing the next generation of Pennsylvania deserves. Gardner is a great winemaking wine professor, who talks in layman's terms, and who has drawn many admirers. Where Chien had advised on plantings, Gardner now teaches about winemaking. However, with the Millers having exited stage left, Pennsylvania lost it's vocal leader. And like it or not, there has not been one winemaker/owner who has emerged to lead the state industry since. And that is the importance of being Robert Mondavi. Each state or region truly needs that ambassador. Or several. A front man of that kind of magnitude is what it's all about. Make to mistake, in the 20th century there were titans. Baron Philippe, Robert Mondavi, Francis Ford Coppola, and many, many others. Having a leader like that is invaluable. Not every region is so lucky to have a champion. The east coast needs more of them. Pennsylvania needs one voice to start pulling it out of its own shell. I quite agree with Mr. Wallace. The exciting news on the other hand is that Pennsylvania is creating great wine. But it needs a voice to amplify it's successes. The guys at Pennsylvania Vine Company do a nice job offering news and perspective on topics related to wine, particularly in southeastern Pennsylvania. 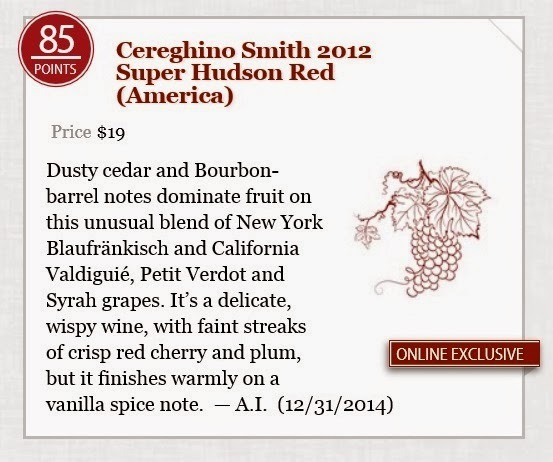 Its creators are Mike Madaio, who produces Main Line Dine, and Jeff Alexander, known as the Philadelphia Wine Examiner. I've never personally met either individual but enjoy their work, and would recommend their site among others for those of you interested in regional wine. Madaio published an interview with Wine School of Philadelphia's Keith Wallace last weekend, and I thought Wallace's take on local wine was worth sharing. Wallace was asked about the state of the state's wines and wineries that are on his radar. Here was his response. "Well, with Eric Miller retiring from Chaddsford Winery, there seems to be a leadership vacuum in the local winery trade. When I first stepped into a winery in PA, it was 2001. As a winemaker, I saw a lot of potential, and I still do. That is the problem, though: it's still just potential. I would love for someone to start grafting Barbera over Chambourcin rootstock, especially in older vineyards in the Brandywine Valley. It could be the biggest thing here – I've tasted a few experimental carboys of the wine, and it's exceptional – but no one is willing to take the chance on replanting a few acres. "However, there are some highlights of what can happen here. For instance, Galen Glen Winery produces a world-class Gruner Veltliner near Jim Thorpe. The folks at Karamoor Estate are producing very good Merlot in Fort Washington, just a couple miles from Philly." In some ways, Wallace might be blind to what's happening across the central and eastern part of the state, where a number of grape growers are experimenting with different varietals that have the potential to produce outstanding dry wines. That includes the collection of Italian varietals and clones tucked into 7-plus acres at Va La Vineyards in southern Chester County. At the same time, I would agree with his notion that the industry, particularly in that part of Pennsylvania, could use several individuals to fill the void that Eric and Lee Miller once occupied. They did a lot for local wine during the several decades they managed Chaddsford Winery, and both enjoyed talking about it with anyone who wanted to listen. As I've retold, Eric was one of my first interviews almost seven years ago when this blog started, pitching the idea of an Atlantic Uplands Wine Region that would encompass the multiple terroirs of southeastern Pennsylvania, central New Jersey and central Maryland. Mark Chien, the longtime state viticulturist who left in May to take a job as program coordinator for the Oregon Wine Research Institute, talked at length during his exit interview about how valuable the Millers were as pioneers during their time at the Chester County icon. "You just cannot underestimate how important it was for Eric and Lee to lay the groundwork for these guys," he said back in May. "and that's true for almost everywhere else, David Lett and David Adelsheim in Oregon or Chateau St. Michelle and a few other people like Kay Simon in Washington and . . . David Lake . . . you know, you had to have some of these people who were willing to do the heavy lifting early on when there was no clue on what would work and what wouldn't work. And so, Eric's wines were always very good. The quality of Chaddsford is going to be eclipsed, maybe it already has been. But the work that he did was just invaluable. We would never be anywhere near where we are, not only in the cellar but politically and socially. They really were important to this whole thing." For Paul Ritter, winemaking was a hobby that grew like the vines he planted in his front yard. A retiree, Ritter made it a full-time business in 2006, and two years ago achieved a loan to help open Brook Hollow Winery, which he says builds on self-promotion and word of mouth. And yet, he says, "so many people come in, they taste the wines that I make here and they're surprised." "They say, 'This actually tastes like wine.' I'm like OK, what should it taste like?" Such is life, it seems, for a winery in New Jersey. A recent report in the Journal of Wine Economics -- titled "'Nothing Good Ever Came from New Jersey': Expectations and the Sensory Perception of Wines" -- says that a wine drinkers' presumptions influence their experiences, and that doesn't help the Garden State. "If people believe they're tasting an unprestigious wine, it tastes bad," said Robert Ashton, the Duke University economics professor who did the report. The moral of the story, from the wine taster's standpoint: We really don't know what we like." Ashton said his study was inspired by a 2012 event referred to as the Judgment of Princeton -- which itself was inspired by the Judgment of Paris in the 1970s, the blind comparison of California and French wines that is largely credited with putting the Napa Valley on the map. The Princeton competition squared New Jersey wines against the French. 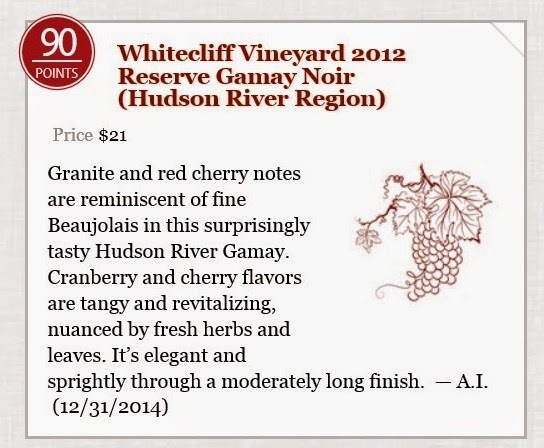 While the Jersey vintages didn't win, they fared well against the established labels. For his study, Ashton had blind taste tests comparing New Jersey and California wines. In one test, tasters were virtually unable to distinguish which was which, though they harshly remarked on what they thought were Jersey wines -- the report's title comes from one tester's exclamation. In a second tasting, in which the subjects did not know the origins of the wine, the average enjoyment was equal. "The moral of the story, from the wine taster's standpoint: We really don't know what we like," Ashton said. "What consumers should do is try wines blindly ... and get rid of their preconceived notions." How to fix those notions is a matter of some dispute. John Cifelli, executive director of the Garden State Wine Growers Association, says local marketing is one key to overcoming the state's reputation, which stems both from rocky quality early in the state's winemaking days as well as ever-present Jersey jokes in pop culture. "Even though the quality of wine has improved, it's taking time to change the perception," he said. New Jersey is "literally thousands of years behind France" in the business, he said, but technology is helping newcomers catch up. And having the nation's most densely populated state as your market doesn't hurt -- "Your customer base is in your backyard," Cifelli said. Tom Sharko, owner of Alba Vineyard in Pohatcong Township, called it a quality issue. "There's no shortcuts in this industry," he said, criticizing what he said was a glut of amateurs and vineyards that "are nothing more than a weed patch." "You can't be a lawyer one day and a winemaker the next," he said. Hiring established professionals and cultivating a strong vineyard will establish a better character for the state wine industry overall. "That's how we're going to change people's minds, by showing them we're the real deal and we're doing it the tried and true way," Sharko said. Both Sharko and Cifelli independently agreed that the problem extends beyond New Jersey. "I think every state has this problem," Cifelli said. "I think every wine region that isn't named California, Oregon, Washington or New York has this problem." Meanwhile, in his corner of Knowlton Township near the Delaware Water Gap, Ritter is finding his own ways to keep people coming back to Brook Hollow. An adopt-a-vine program helps get people involved in the process, an "education from grape to glass," Ritter said. They work with neighboring wineries and groups, like their sales that support a nearby wolf preserve. They only sell their wines on site, and so far, he said, that's good enough. "We're having a hard time keeping up with our sales demand," Ritter said. "That's not a bad problem to have." Richard Auffrey continues to be one of my favorite new blogs I am following. So I was triple excited that he followed up his taste Camp 2014 Hudson Valley barrage of great follow-up articles by listing the Hudson Valley in several of his year end columns! !This is an edited part of a much, much longer list. I only highlighted those things that were directly connected to the HV. Congratulations to the entire Hudson Valley, as Richard said it as his favorite domestic trip of the year, to Pazdar Winery, and to Hudson-Chatham Winery. Thanks, Richard! What were some of my favorite wine related items of the past year? Let me continue the lists of my best recommendations and favorites of 2014. I have already posted my Top Ten Wines Under $15, Top Ten Wines Over $15 and Top Ten Wines Over $50 lists. This post will now concentrate on some of my Favorite Wine-Related Items, which are not specific wine recommendations. This is certainly not a complete list but it is more a sampling of compelling and memorable matters I have experienced and posted about over the past year. This is also a purely subjective list, based on my own preferences, and makes no claims about being the "best" of anything. But all of the items here have earned my strong recommendations and I hope you will enjoy them as well. For more wine related items, you can just search my blog posts for the past year. Favorite Wine Book: A comprehensive book about Spanish Rioja, The Wine Region of Rioja by Ana Fabiano, is an excellent resource. It possesses great photography, is easy to read, and provides lots of insight into the wine makers of Rioja. My favorite sidebar of the book was "Voice of the Vintners" which provides quotes from about 30 different wineries on Tempranillo. There is such poetry in those quotes, and they provide a fascinating insight into Rioja. If you read those two pages alone, I think you would actually have a nice grasp of Rioja. Most Unique Wine Tasting: While in the Hudson Valley, at one of the grand tastings, I got to sample the wines from Pazdar Winery, which included two chocolate wines! Previously, the chocolate wines I have tasted have seemed artificial and overly sweet. However, these were actually tasty and interesting wines, with real chocolate and a restrained sweetness. These aren't your normal type of wine, but they are well made and would appeal to many people. Favorite Wine Trip, Domestic: This year's TasteCamp was held in the Hudson Valley of New York. It was informative and fun, and I discovered plenty of interesting wines and spirits. The region is beautiful and it was great to visit this developing wine region, which also possesses a rich and vibrant history. TasteCamp always does a good job of showcasing different wine regions, and this year was no different. Wines and spirits from this trip have ended up on my Favorite lists. Favorite Winery Visit: While in the Hudson Valley region, our visit to the Hudson-Chatham Winery was a major highlight. Carlo Devito, owner of the winery, was an excellent host, leading us through a tasting of their wines, giving a tour of their solera, and feeding us lunch, including plenty of sliders. We saw Carlo's passion, and also saw the potential of hybrid grapes, such as Baco Noir. If you visit this region, you must stop at this winery. 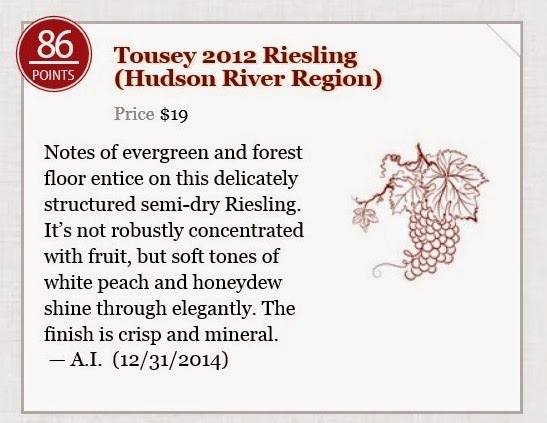 Hudson Valley wines shone huge in the most recent, end of year, special issue of Wine Enthusiast 2014. 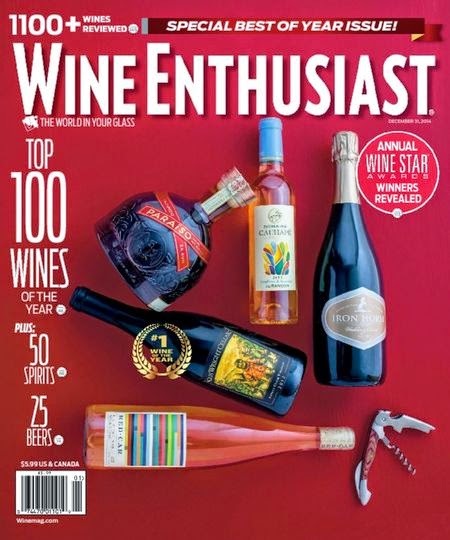 In an issue that announced and celebrated New York state as the 2015 Wine Region of the Year, Hudson Valley wineries took front and center stage with more than a dozen great scores in the Top 100 Wines issue. 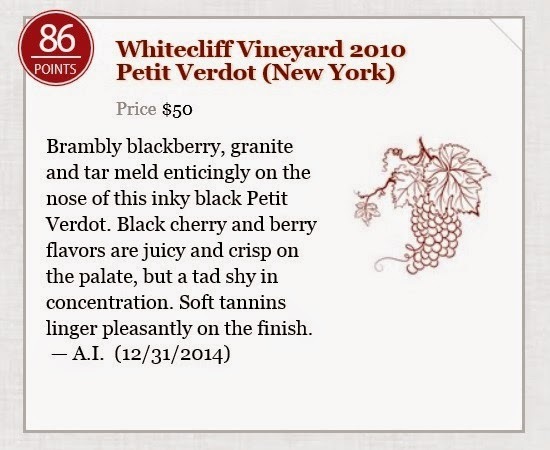 This tops off a season which saw the Hudson Valley take home two 90 Point scores, as well as more than a dozen highly other scored wines. It also caps three straight issues in which Hudson Valley wines have scored big with the tasting panel and with the feature writers. 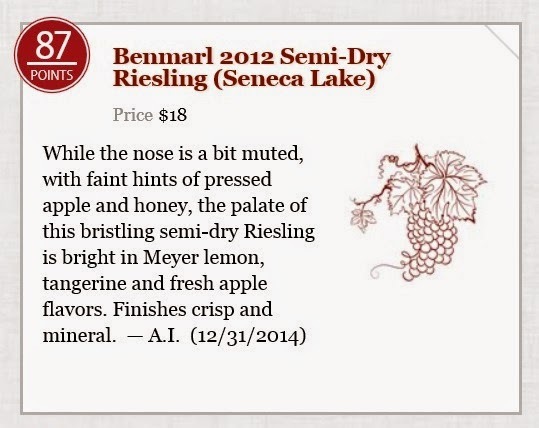 Presented here are a sampling of the reviews, in alphabetical order, for Benmarl Winery, Cereghino-Smith Winery, Clinton Vineyards, Hudson-Chatham Winery, Millbrook Vineyards, Palaia Vineyards, Tousey Winery, and Whitecliff Winery. Congratulations to all!!! A very exciting time for the Hudson Valley, especially coming off Taste Camp 2014! Big year in the Hudson Valley, and a strong, strong way to end it!